Last fall, LUMIX announced its new full frame cameras, the S1 and S1R, which will feature a new L-Mount lens collaboration between LUMIX, Leica and Sigma. 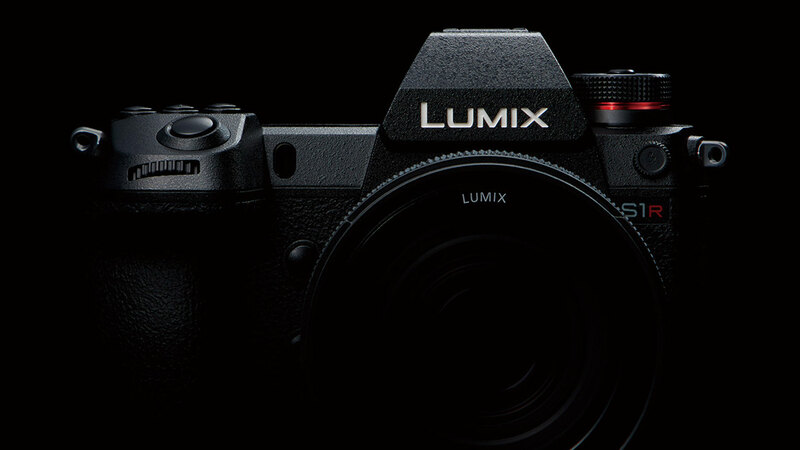 Early this morning, LUMIX came out with more information about both cameras. Let me give you the big details up front, and you can read the entire release below. Boasting a full 36x24mm sensor, the S1R offers the highest resolution of any full-frame mirrorless camera on the market. Plus, the high-resolution mode — which combines multiple frames into a single raw file — turns out a 187 megapixel image. Are you going to need a new computer to handle the big files? The max ISO is 25,600, and the new Venus processor ensures a low noise image. I’m excited to see how well this performs. Interestingly, the sensor is slightly smaller than the S1R at 35.6×23.8mm, but it really doesn’t matter and it won’t make your pictures any better or worse 🙂 The S1’s high-resolution mode puts out a 96 megapixel raw file. Also, the new high-resolution modes can handle moving objects in the frame. The max ISO is 51,200, and it also uses the new Venus Engine. Dynamic range should be magnificent. Both cameras can make videos at 4K/60p, and they’ll do 4K/30p at 4:2:2 10 bit. They have HDMI outputs so you can view your work on big monitors or TV’s. Vlog will be available later in 2019 as an upgrade purchase. Sorry, but you can’t flip the screen all the way forward to see your self for your vlogging adventures. But why would you use a camera of this caliber for vlogging, anyway? The screen lets you see it from all angles if you use the camera as a normal operator. The new Venus Engine is also applied to the autofocus for the fastest AF in the industry (their words). They’ve also applied AI to the focus so that it recognizes subjects and tracks them better than ever before. These cameras are also capable of -6EV focusing, which means it can be pretty dark or your subject can be backlit and it’ll still focus accurately. In-Body Image Stabilization (IBIS) and lens stabilization are both improved. There’s 5-axis stabilization in the body, and 2-axis in the lenses. This is especially good for photographers: The max shutter speed is 1/8000s, and the max flash sync speed is 1/320s. That’s the fastest flash sync speed on this size sensor in the industry, and it gives you another bump toward overcoming the brightness of the sun without overpowering your flash. This camera is a significant evolution for mirrorless cameras, and especially since it’s building on LUMIX’s more than decade-long experience building mirrorless cameras. If you need a full-frame camera, this looks to be a very good one. The S1 is now available for pre-order for $2497.99, while the S1R runs $3697.99. You can get your pre-order in today, along with lenses and other accessories. For more information, see the full press release below. An AR coating applied on the sensor of both LUMIX S1R/S1 minimizes ghost and flare even in backlighting. Combination with the high-quality LUMIX S Series lenses based on the L-Mount further enhances the potential of the camera. Panasonic has achieved a high-speed AF with its advanced control technology over the major devices – lens, sensor and imaging engine. The lens and sensor communicate at a maximum 480 fps. Combining the Contrast AF with DFD technology, the LUMIX S1R/S1 realizes an ultra high-speed, high-precision AF of approximately 0.08 sec. The LUMIX S1R/S1 also boasts high speed burst shooting at 9 fps (AFS) or 6 fps (AFC). With its high subject tracking performance, the LUMIX S1R/S1 never loses the target subject. As a camera that excels in low-light shooting, the LUMIX S1R/S1 boasts -6EV luminance detection performance with Low Light AF thanks to the higher sensitivity and optimized tuning of the sensor. The face/eye detection technology makes it possible to capture people in crisp focus, the Eye AF even detects the pupil of the eye and precisely focuses on it for impressive portrait shooting. The LUMIX S1R/S1 also incorporates Advanced AI Technology that detects specific subjects – humans and fast-moving animals, including canidae, felidae and birds. The camera keeps tracking these subjects even when they turn their back to the camera. For more continuous burst shooting, 6K PHOTO makes it possible to capture unmissable moments at 30 fps by extracting the frame with the best timing out of a 6K burst file (in 4:3 or 3:2 aspect ratio) to save as an approximate 18-megapixel equivalent high resolution photo. The 4K PHOTO enables 60-fps high-speed captures in approximate 8-megapixel equivalent resolution. In 6K PHOTO /4K PHOTO, three exclusive modes can be chosen from depending on the situation; 6K Burst/4K Burst, 6K Burst (Start/Stop)/4K Burst (Start/Stop) and 6K Pre-burst/4K Pre-burst. Users can choose the most suitable burst shooting mode in addition to the regular consecutive shooting mode in full resolution depending on the situation. The LVF (Live View Finder) is the key factor for completing the ultra high-speed response of the camera. The LUMIX S1R/S1 has the largest level of Real View Finder which boasts the world’s highest 5,760k-dot resolution. The 0.78x magnification ratio can be switched to 0.7x or 0.74x according to the shooting situation. Adoption of a high-speed, high-precision OLED (Organic Light-Emitting Diode) for the LVF achieves smooth display at 60 fps/120 fps (switchable) and high-speed response with minimum time lag of less than 0.005 sec as well as 10,000:1 high contrast for exceptional visibility. With minimum distortion and high optical performance, this Real View Finder provides a natural view as seen with the naked eye. It is always sharp and clear from the center all the way to the corners. The 2,100K-dot high resolution monitor in 3:2 aspect ratio has adopted a triaxial tilt moving element to secure both durability and operational ease. It also has a touch control system. Live View Boost is another practical feature that makes it possible to check the composition even in total darkness by boosting the sensitivity just for live view. It also incorporates a Night mode that provides mild backlighting. It lets the user watch the subject comfortably even right after viewing the monitor while in a dark situation for a long time. The LUMIX S1R/S1 includes a largest-in-class Status LCD on the top, allowing users to check the settings at a glance. A variety of new accessories are available for the LUMIX S1R/S1 including Remote Shutter (DMW-RS2), Eyecup (DMW-EC6), Battery Grip (DMW-BGS1) and Battery Charger (DMW-BTC14). The Battery Charger also complies with USB PD and enables quick power charging in approximately 2 hours. The camera can be used while charging via this adaptor. The conventional External Flash (DMW-FL580L / FL360L / FL200L) can also be mounted on the LUMIX S Series cameras. The LUMIX S1R is a camera designed and developed to boast exceptional performance in photography, yet is capable of 4K 60p/50p video recording. To elevate the video expression even more, a variety of effects are available for video recording. The LUMIX S1 features outstanding video performance for professional videography with 4K 60p/50p recording. It realizes a crop factor of 1.0x in 4K 30p/25p/24p, which means that the user can record video in the original viewing angle of the lens. There is no recording time limit for both 4K 30p/25p/24p and Full-HD video. Notably, the CMOS Sensor with high sensitivity on the LUMIX S1 achieves full-pixel readout for an excellent S/N ratio. The HDR (High Dynamic Range) video recording is available, which reproduces both the bright parts and dark parts of an image, making it look just like human eyes see it. The camera records video with a designated gamma curve compatible with ITU-R BT.2100, and you can now choose Hybrid Log Gamma (HLG) in Photo Style. The LUMIX S1 further expands its potential with a firmware update including 4:2:2 10-bit 4K 30p/25p internal video recording and 4K 60p/50p HDMI output as well as V-Log, with a Software Upgrade Key (to be sold separately) following soon in 2019. As a camera from Panasonic that has been overstepping the limit of video performance in digital cameras, a host of functions are available on the LUMIX S1R/S1. The High Speed Video lets users record slow motion video in 4K (maximum 60 fps/ 50 fps) and FHD (maximum 180 fps /150 fps). Variable aspect ratios with new 65:24 and 2:1: In addition to the standard 3:2, 4:3,16:9 and 1:1, 65:24 (Film Panorama) and 2:1 (6 x 12 cm) aspect ratios are available for photo shooting. Flicker Decrease: When the flickering of a fluorescent light is detected, the camera indicates it and releases the shutter when its effect is the least to suppress the discontinuity of exposure or color across a sequence of photos.Not available in 6K PHOTO, 4K PHOTO and Post Focus. Bluetooth 4.2 and Wi-Fi 5GHz (IEEE802.11ac) / 2.4GHz (IEEE802.11b/g/n): Compatibility with Bluetooth 4.2 (called BLE: Bluetooth Low Energy) enables constant connection with a smartphone/tablet with minimum power consumption. The settings of a LUMIX S1R/S1 camera can also be copied and transmitted wirelessly to other S1R/S1 cameras when using multiple S1R/S1 cameras. Also, Wi-Fi 5GHz (IEEE802.11ac) is effective in addition to 2.4GHz (IEEE802.11b/g/n.) This provides even secure and stable connection not only with a smartphone/tablet but also with other devices on location for smooth remote control. Transmission speed of photo/video data is also increased up by using the 5GHz-band. Lumix Tether: This software enables tethered shooting via USB. Users can control the camera by connecting it to a PC via USB. It lets you view the image on a large PC screen while shooting, which is helpful in commercial photoshoots of portraits, products and so on, where continuous confirmation is required. You can use [6K PHOTO] [4K PHOTO] and start and stop video recording with tethered shooting. It is also possible to choose the folder to save the image files in the PC.